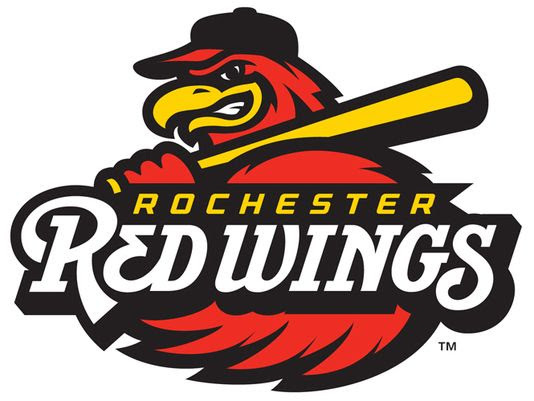 Rochester scored a run in each of the first two innings and got strong pitching performances from a trio of pitchers and the Red Wings won their third straight game 2-1 over the Pawtucket Red Sox Tuesday night at McCoy Stadium. Fernando Romero (2-1) pushed the Red Wings (41-40) over .500 for the first time since the team was 28-27 on June 7. Romero earned his second win in as many starts after tossing 5.2 scoreless innings on three hits and five walks while striking out eight. The PawSox (39-44) had multiple runners on base in the 1st, 2nd, 4th, 6th and 8th innings. Tyler Duffey entered in the 6th with the bases loaded and two outs and retired Dan Butler to end the threat. Duffey fired 2.0 scoreless frames on two hits and a walk with one strikeout. After two quick outs from Duffey in the 8th, Pawtucket put two runners aboard following a walk and a single. Alan Busenitz got a force out to end the threat and earned his fourth save despite a home run by Tzu-Wei Lin in the 9th. Gregorio Petit gave the Wings a 1-0 lead in the 1st with an RBI single to score Byron Buxton, who doubled to open the game. Petit finished 3-for-5. Leonardo Reginatto drove in Chris Carter with a single in the 2nd to extend the lead to 2-0. The teams combined to go 5-for-25 with runners in scoring position while leaving 22 combined runners on base. Rochester and Pawtucket now travel to Frontier Field to play two games on Wednesday and Thursday.